Rain Of Flowers: with Neroli (Citrus aurantium amara) and EOS to help balance the skin’s natural oil production, stimulates cell growth, helps the skin heal itself and tones the complexion. Good for scars, wrinkles and closing open pores. Don't settle for second best! Your skin will feel the difference! 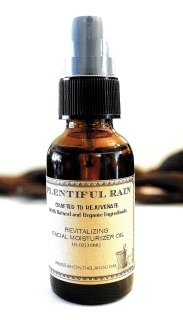 Plentiful Rain: Rich and revitalizing facial moisturizer oil. A natural way to help prevent wrinkles. Concern: This blend counteracts dullness, rehydrate the skin and promotes cell re-generation. ​ ​Key Ingredients: Organic Jojoba Infused with organic Calendula flowers* Rosehip seed oil (Rosa Mosqueta) and pure essential oils including Neroli, Helichrysum (Immortelle), Sandalwood, Lavender*, Rose, Carrot Seed, Frankincense and Myrrh. A perfect blend for a healthy skin. Certified Organics: The Jojoba Oil used in this product is Certified 100% Organic Jojoba Oil in accordance with the USDA National Organic Program. Rain Kiss: Skin and lips organic cure balm. 0.15oz Best cure for dry lips and skin ! 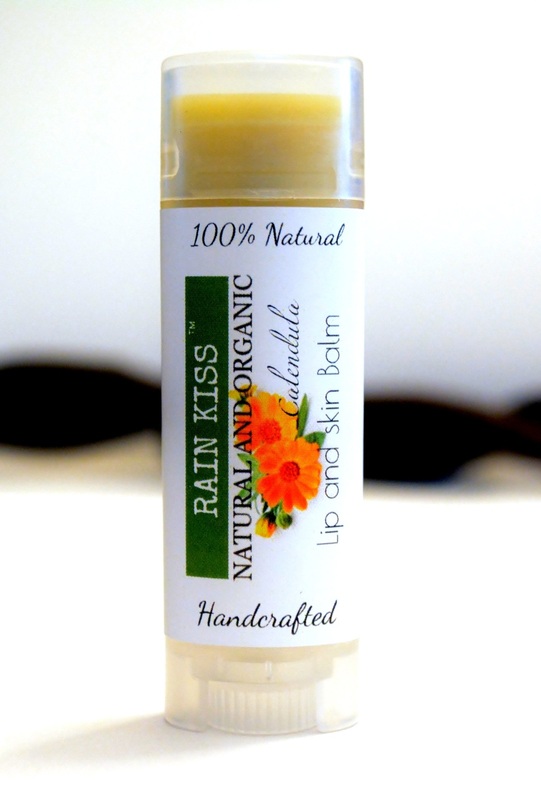 RainKiss: The real cure for dry lips! ​Concern: Dry, chapped skin and lips. Benefits: The healing properties of Calendula. Natural and made with certified organic ingredients. ​Key Ingredients: Organic Calendula and a Proprietary blend of Organic Butters. 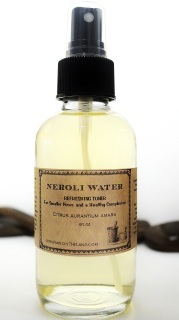 Neroli Facial Cleanser Foam: Formulated with careful attention to the needs of stressed skins, this face wash was designed to effectively clean using therapeutic grade essential oils and natural extracts. ​Key Ingredients: Neroli: Helps balance your skin’s natural oil production, stimulates cell growth, helps the skin heal itself, and tones the complexion. Good for closing open pores. Chamomile German: An excellent antioxidant, it is also used to alleviate puffiness and cleanse pores of impurities while reducing redness and inflammation. Lemon: A natural astringent that can balance skin pH, brighten dull skin color and it is highly antibacterial. 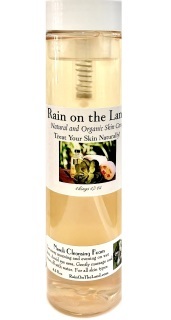 *Disclaimer: Rain On The Land does not sell undiluted Essential Oils. When buying pure essential oils, never use them undiluted. Do not take internally unless working with a qualified and expert practitioner. Keep away from children. If applying an essential oil to your skin always perform a small patch test to an insensitive part of the body.